For Fallout 4 players, Preston Garvey’s dialogue has become a running joke. 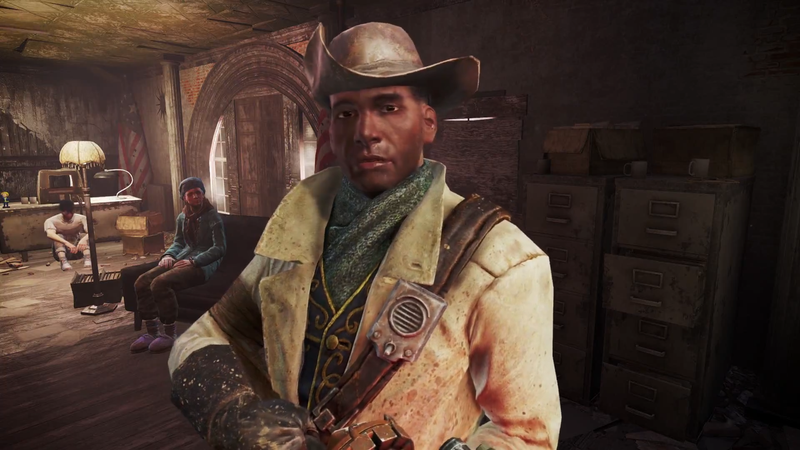 Anybody that’s played the game has probably fallen into the trap of talking to Preston Garvey, which inevitably means accepting quests that task you with saving settlements around the Commonwealth. Whenever you finish one of these quests, Preston always has another one waiting for you. He’ll even mark it on your map! Thing is, settlement quests aren’t very interesting, and Fallout 4 doesn’t give you a choice in accepting the quests, either—which makes Preston Garvey a character people love to hate. Ever since the release of Fallout 4 back in November 2015, players have reacted to Preston Garvey’s character hilariously. Preston has basically become the new “arrow in the knee” joke, but for Fallout 4. Here’s a round-up of the best Preston-related jokes floating around on the internet. My favorite part of this video titled “Why I Hate Preston Garvey” by Roman Bellic is that, even as the player is clearly plotting Garvey’s demise, Garvey will still not shut up about the settlement that needs help. Amazing.